Preheat oven to 350 degrees, while it is heating up, melt butter and lemon juice in baking dish. Place fish in the pan turning once to soak up butter on both sides. Sprinkle with Lemon Pepper and Krazy Sea Salt. 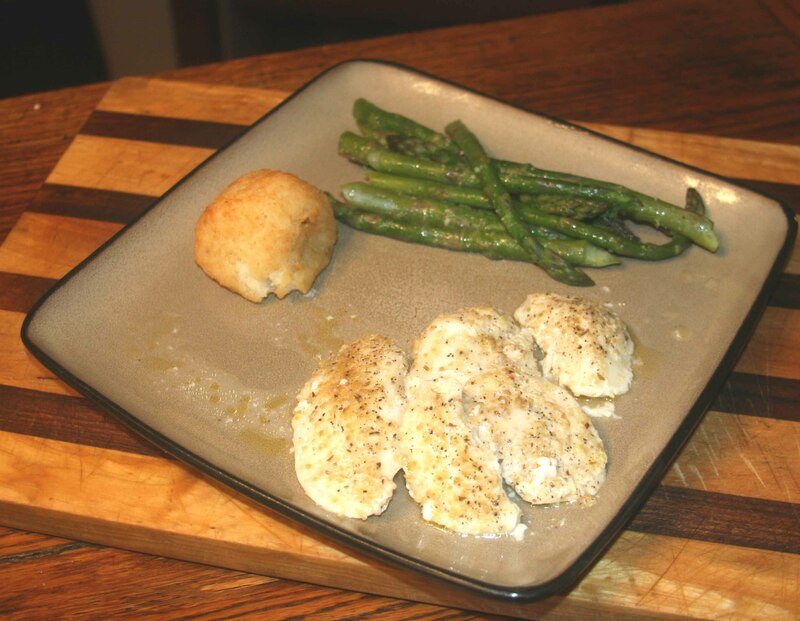 Bake for 20-25 minutes, serve with fresh steamed asparagus with garlic and butter and au gratin potatoes.